Open source in the academic world means increasing access to content and cutting costs for students. Recently at the Texas Linux Fest, Ross Reedstrom introduced me to OpenStax. I've heard of a lot of open educational resources (OER) but not this particular one. It's certainly a project I'm going to follow now. And with that, OpenStax was born. While the new branding did attract some new attention, many remained skeptical that OpenStax could meet its goals. In February 2012, Mitch Smith wrote about OpenStax in "Inside Higher Ed," quoting the executive director for higher education of the Association of American Publishers: "Faculty are tough—they’re under massive pressure, and they want the very best for the students. If Rice can meet the quality threshold that faculty demand, then they can participate in the market." This leads to an important question: Who buys textbooks? Students! Why, then, do faculty members require students to spend exorbitant amounts of money on books that contain the same information as those published on OpenStax? This concept led OpenStax to start styling books just like traditional printed textbooks. As an example, Ross showed us a print copy of one book that cost just $50 on OpenStax instead of $200 for a traditional copy. Students who don't want a print copy at all can download a free PDF. Having published 31 books since 2012, is OpenStax having an impact? Are faculty buying in? I'd say so. For the first time in 50 years, the price of textbooks has dropped. OpenStax books are being used around the world, and the team's community outreach members are helping spread the word. Other innovators are also following suit by introducing more open educational resources. The CARE Framework brings these OER sites together "to articulate a set of shared values and a collective vision for the future of education and learning enabled by the widespread adoption and use of OER." 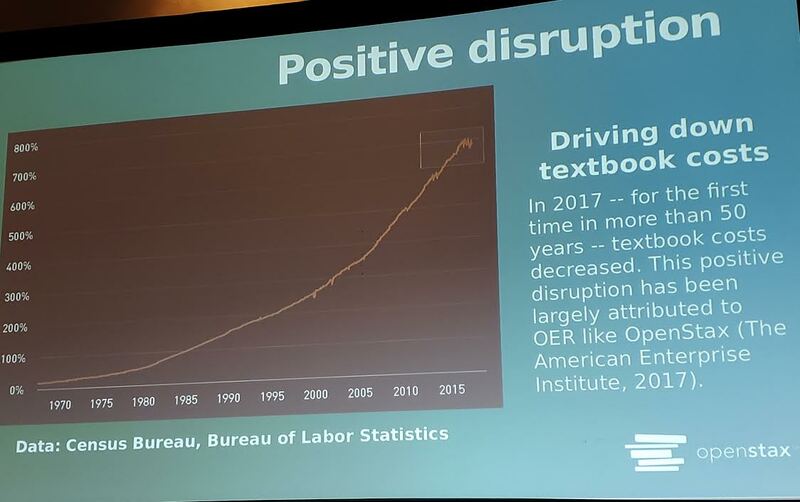 We're also starting to see an impact at the legislative level, with states calling for consideration of open textbooks and federal grants being offered—and it all started with an itch! In addition to adding new titles to the library, OpenStax plans to follow a pragmatic approach to openness. They realize that people come to OpenStax for different reasons: Some want the ability to customize content, some want to build content from scratch, some want to pull content into different tools—and some simply want free stuff. OpenStax will address all of these needs by focusing on access first, followed by participation and empowerment tools. To help out, you can find the project on GitHub. Great article Nicole! 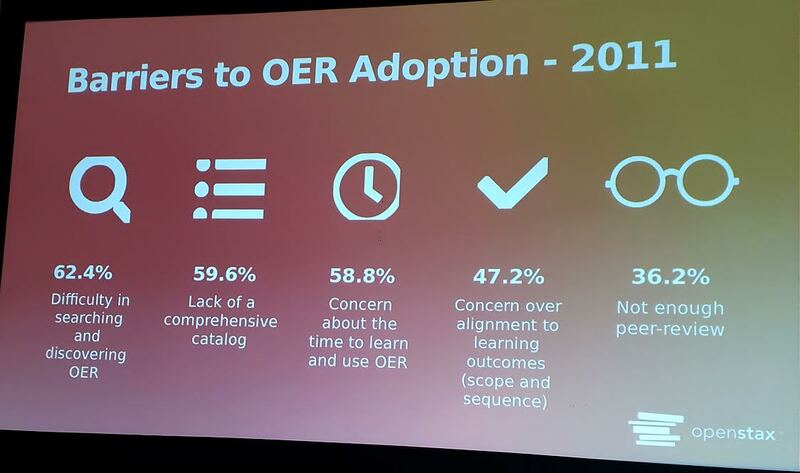 OER is making great strides and OpenStax is a big part of that. I recently recommended one of their texts, https://openstax.org/details/books/american-government to a high school teacher looking to use OER in an advanced placement civics course.